All rights reserved. No part of this publication may be reproduced or distributed in any form or by any means, electronic or mechanical, or stored in a database or retrieval system, without prior written permission from the publisher. This book is for educational purposes. The publisher and author of this instructional book are not responsible in any manner whatsoever for any adverse effects arising directly or indirectly as a result of the information provided in this book. If not practiced safely and with caution, working out can be dangerous to you and to others. It is important to consult with a professional fitness instructor before beginning training. It is also very important to consult with a physician prior to training due to the intense and strenuous nature of the techniques in this book. The Mental Mind Game of Managing Change and Tossing the Family On Board! , and I’ve talked to hundreds of thousands of people around the world about paleo nutrition via my podcast and seminar. I don’t have kids. Yet. have kids. I get that. And that’s a large part of why this book exists. The author, Sarah Fragoso, has the “mommy cred.” I most certainly do not. She is the mother of three boys, a trainer at a pretty damn good gym (mine), and she owns not one but two little yipper dogs (one a Chihuahua, and the other I can only describe as “fishing bait”). Oh yeah, she is also a wife. 1. You have some basic theory about the paleo diet written from Sarah’s perspective. You also get the story of how she reversed some serious health problems via paleo eating, and how she got the rest of the family (dog included) onboard. 2. You get a comprehensive exercise plan with detailed “how-to” photos and instructions. Never exercised? Don’t want to join a gym? Perfect, Sarah’s program will take you from the couch to beating your kids at push-up contests. Really. 3. You also get a full cook book (photos included). Breakfast, lunch, dinner, snacks, traveling, sending lunches to school. it, so she has covered all the bases. Again, all you need to do is actually do it. I know, I’m kind of a smarty pants. I’m trying to be funny, but the topic of feeding the kiddos gets quite serious. You want to do the right thing; you want to do right by your family. Awesome, I want that too, and so does Sarah. This book covers the how-to of eating, exercising, and living for the whole family. Make the process easier on everyone and just give it a shot. Commit 100 percent, see how it goes, and I suspect you will be impressed. You may find that the most frustrating thing about this book is that it really leaves you, in the words of my good friend Kyle Maynard, “No Excuses.” That’s OK though, because the flip side of that is it virtually guarantees your success. rom an early age I have enjoyed putting my thoughts and feelings into words. Now I have the chance to lay it all out there and to shower love on those who make “me” work, but as I sit here typing, I’m afraid that a few words on a page will never do justice to the people in my life who have shaped me, helped me, loved me, encouraged me, supported me, and taught me over the years. This book is not “mine,” but rather a culmination of events, people, and experiences that have led to my dream becoming a reality. Please know that as I express my gratitude, in my heart there is so much more appreciation than these written words could ever express. With that being said, holy cow, I love my blog readers! Without your comments, questions, and encouragement, Everyday Paleo simply would not exist! Above all else, I have learned so much from each of you, and my depth of thanks for your continued support, comments, and input is immeasurable. Thank you to Moita Lindgren of Ten Toes Photography for taking the beautiful photos for the book cover! 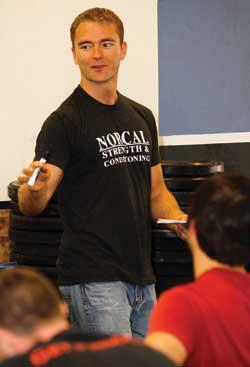 Thank you to my friends, clients, and coworkers at NorCal Strength & Conditioning. You all have carried me through my worst and lifted me up at my best. A special thank-you to Chrissy, Shawn, Katie, Glen, Natalie, Andy, and Karina. Your continued support and friendship are truly amazing, and I am so grateful for all of you! Oh, and I cannot forget little Kayden—his big hugs helped immensely on several occasions! Robb Wolf and Nicki Violletti. From the very first day that I met both of you, I had a crazy feeling that my life was going to change forever. Robb, there you were with your beautiful girlfriend, Nicki, and the two of you together had this amazing glow (this is where I get all “hippy,” which I know Robb loves), and it was as if you just plopped down out of the sky on a day that I needed answers more than ever. You both have literally saved my life more than once! Nicki, thank you for encouraging me to start my blog, and Robb, thank you for going on that walk around the gym almost eight months ago and telling me in not so many words to just freaking (I’m sorry, “fracking”) write a book already! Guess what? I did it! There are a million more reasons to thank you, but please know that I am eternally grateful for all that you both have done for me. A very special thanks goes out to Laura Harren. You are my angel. I will forever cherish you with love and fondness, and I could not have made it through my cooking marathon, or life in general, without you! Erich Krauss, you are impressive. As my editor, publisher, and now friend, you have made my dream book a reality. 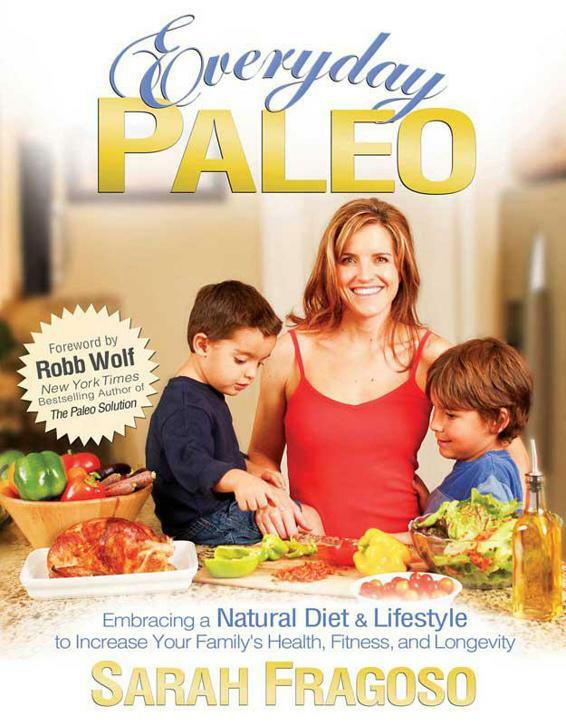 So many nights during this process I have closed my eyes and envisioned how I wanted the Everyday Paleo book to look, and I have you to thank for making my vision vastly brighter, better, and more amazing than my wildest dreams. This book would have never happened without you, and for that I give you my deepest thanks. I owe a huge thank-you to Dain Sandoval. Out of the kindness of Dain’s heart he has supported and helped to create Everyday Paleo. My website is truly his genius at work, and he has kept the Everyday Paleo. com boat afloat from day one. Without Dain I would still be wondering how the heck I am supposed to work just about everything! Thank you to Dain and to your beautiful family. My love and thanks to my brother, Mark, and to my sister, Laura, my brother-in-law, Eric, and my precious niece, sweet little Shaela Sullivan. My thanks also to my 10 million in-laws; I would name you all, but that would be a whole other book! You know that I love each and every one of you with every fiber of my being. You all have encouraged and supported me through these last few whirlwind months, as well as through life. We have made it through so many triumphs and trials together, and we have only grown closer and stronger as a family. A special note from my heart to Laura and Mark. I have told you before and I will tell you again—I would most likely be crazy without you. Or maybe I already am crazy, but at least you are the two people I can always count on to bring me back to reality and to keep my head above water: unless, of course, Mark is driving the boat. I love you guys. Mom, I know you would be proud. Your love carried me through life and carried me through this project, and I forever will cherish, love, and miss you. Dad—over the years you have loved me more than any dad I know, and for that I am eternally grateful. Your constant support and excitement about this project has meant so much to me. I have always cherished hanging out with you; singing along to your guitar, hearing your stories, and just talking with you about anything and everything. Thank you for always cheering me on and reminding me when to slow down; you are my hero. Thanks to Sandy for jumping into this crazy family and loving us anyway! Your constant cheerful demeanor and wonderful ideas have helped me tremendously as I developed my blog and book. Thank you! My boys . . .
Coby, you and I have been partners way before anyone else climbed on board our little train, and you are my daily inspiration. Thank you for hanging out with me at Starbucks on all those nights I had to escape from your little brothers to get some writing done. Thank you for always being willing to help, for always making me laugh, and for being one cool kid. Jaden! Where the heck did you come from kid? You are such an incredible guy, and you already know way more than your mom about almost everything! Thanks for all your help with our book—you did such an awesome job! Please never change; keep that inquisitive mind, keep asking questions, never stop wondering why, and since it’s obvious I’ll never learn how to speak Spanish, promise you’ll always come with me to Mexico. My little Row Row! You help me stir, you make the hugest messes, you brighten every single day of my life, and I just love you—big punches and all. A million years ago, I met this guy named John. He was incredibly hot, but way too nice and not at all my type. You see, he had all the right things to say, and wore this perfectly tucked-in shirt, and it was all a bit too much for my not-so-perfect self. Fast-forward a million years later and every single day I am insanely glad that I took my friends’ advice and looked again. John, you amaze me, encourage me, and nothing I have accomplished would have ever happened without you. Thank you for loving me tirelessly and without question. Thank you for always supporting my wild ideas with a passion and giving up any of your spare time to do things like take amazing photos of every single recipe in this book! My world rests safely in your arms, and you know how the story goes: all my heart, all my soul. I love you.